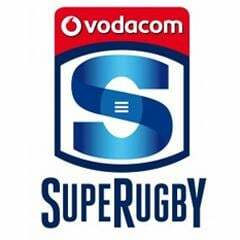 Cape Town - Sport24 highlights 5 talking points after Round 7's action of Super Rugby. Cheslin Kolbe's size was again a big point of discussion during the Highlanders v Stormers game in Dunedin. This came after Highlanders wing Waisake Naholo ran straight over Kolbe for his second try of the night. The Stormers fullback went too high in the tackle and was swatted aside like a fly. This will not help Kolbe’s chances of selection by Springbok coach Heyneke Meyer, who is known to like big, physical players. Perhaps Nick Mallett’s suggestion that Kolbe should shift to scrumhalf is not such a bad call. In Kolbe’s defence though, Naholo is a man mountain and I doubt many backline players in world rugby would have stopped him from that position. Players need to understand how vital the concession of yellow cards is. It almost cost the Lions in their 18-17 win over the Reds in Brisbane last Friday. 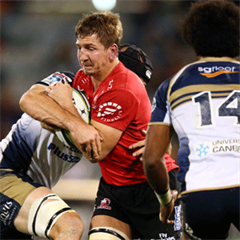 The Lions were leading 15-3 when wing Ruan Combrinck was sent to the sin-bin after cynically taking Reds scrumhalf Will Genia out close to the tryline. The Reds scored soon afterwards and managed to fight their way back into the contest, taking the lead in the 69th minute, before a penalty by Elton Jantjies sealed the win for the men from Johannesburg. A yellow card also cost the Cheetahs in their 37-27 defeat to the Chiefs in Hamilton on Saturday. Flank Heinrich Brussow went cynically off-side at a breakdown and was sent to the sin-bin in the 66th minute. At that stage, the Chiefs held a narrow 23-20 lead, but by the time Brussow returned, the game was over as a contest with the hosts leading 37-20. The Bulls will soon have to rest flyhalf Handre Pollard, who has started in all six their matches in this year’s competition. SARU’s guidelines are that no top Springbok plays more than five consecutive matches this season. Pollard will have to be rested for some stages during the season and his absence will be dearly felt by the Bulls. Pollard has been instrumental in their recent resurgence and again proved his credentials with a man-of-the-match performance in their 31-19 win over the Crusaders at Loftus Versfeld. The Stormers backline lacked impetus on attack in their defeat to the Highlanders in Dunedin. Apart from a few individual breaks, the men from the Cape failed to put the Highlanders under pressure with ball in hand. Nick Mallett is right when he says it’s a sickness in South African rugby that our backline players aren’t running straight. The Stormers backs did just that on Saturday and struggled to deal with the Highlanders’ rush defence.